Today we are spotlighting Phat Chiem of StoryCraft. StoryCraft crafts digital content to captivate the right audience, convert customers & cultivate love for your brand. This episode is powered by BetaList.com, where you can discover tomorrow’s startups today, and Hack Reactor, the leading coding bootcamp in program quality & student outcomes. Connect with us at wearelatech.com/podcast and tweet @WeAreLATech and @EspreeDevora. 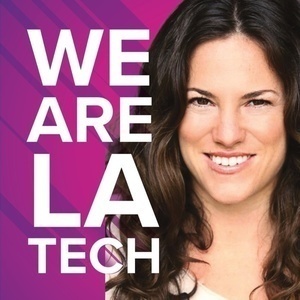 Today we are spotlighting different LA Startups as we listen in on what they can recommend and share about getting immersed into the LA Tech community. This episode is powered by BetaList.com, where you can discover tomorrow’s startups today, and Hack Reactor, the leading coding bootcamp in program quality & student outcomes. Connect with us at wearelatech.com/podcast and tweet @WeAreLATech and @EspreeDevora. Today we are spotlighting Terence Latimer of FoodTribe. FoodTribe is an in development restaurant review platform committed to ending hunger. Crowdsourced user reviews and recommendations of Los Angeles area restaurants, cafes, coffee shops, eateries and more. This episode is powered by BetaList.com, where you can discover tomorrow’s startups today, Make in LA, empowering you and your business by making hardware not hard, and Hack Reactor, the leading coding bootcamp in program quality & student outcomes. Connect with us at wearelatech.com/podcast and tweet @WeAreLATech and @EspreeDevora. in program quality & student outcomes. Connect with us at wearelatech.com/podcast and tweet @WeAreLATech and @EspreeDevora. Today we are spotlighting Jack O’Grady & Quinn Ellis of Lookabout. Lookabout lets you capture & share VR experiences from your phone, with or without the headset. 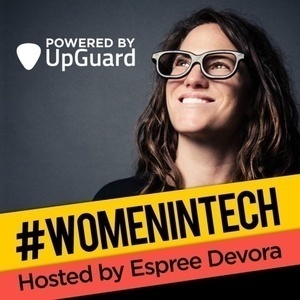 This episode is powered by BetaList.com, where you can discover tomorrow’s startups today and Make in LA, empowering you and your business by making hardware not hard. Connect with us at wearelatech.com/podcast and tweet @WeAreLATech and @EspreeDevora.